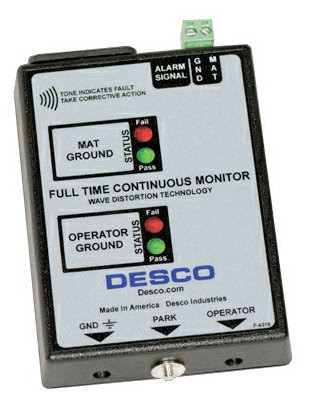 The New Desco 19325 Continuous Monitor replaces the 19225 Monitor. This product features a NEW and IMPROVED Banana Jack. A benefit of an improved connection will help prevent accidental disconnects with the operator's wrist strap. For further reading please visit our product page. Thanks for visiting Janel Online.